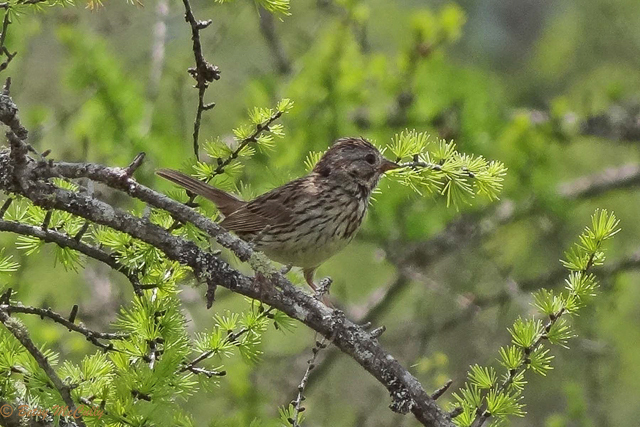 Lincoln’s Sparrow (Melospiza lincolnii). Scrub habitats. Migrant. This individual breeding in Adirondacks.